Michael Tischler is from Woodstock, NY, and has extensively photographed the Hudson Valley and New York City for the past 40 years. Outdoor Photographer published a feature article on Michael’s Catskill Mountain work in 2011. Michael has also been published in Popular Photography and has written about HDR photography for the Poughkeepsie Journal, a Gannett company. Starting with film, Michael now utilizes a digital workflow exclusively. After using Canon Professional cameras for years, he went to the Nikon D810 and now uses Pentax medium format 645z exclusively. Michael has lectured for the NYC Sierra Club, B&H in Manhattan, and photography groups in the Hudson Valley. For more information, visit michaeltischler.com. 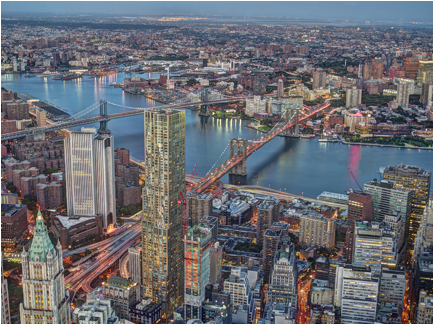 Gallery at 345 Broome Street in New York, NY to showcase collection of one-off images of New York City by urban landscape photographer Michael Tischler. Opening reception September 12, 5-9pm, free of charge and open to the public. Show runs September 4-18, 2015, Tuesdays-Sundays 11am-7pm. Visit michaeltischler.com for more information.